through large glass windows into the beautiful, natural gardens. 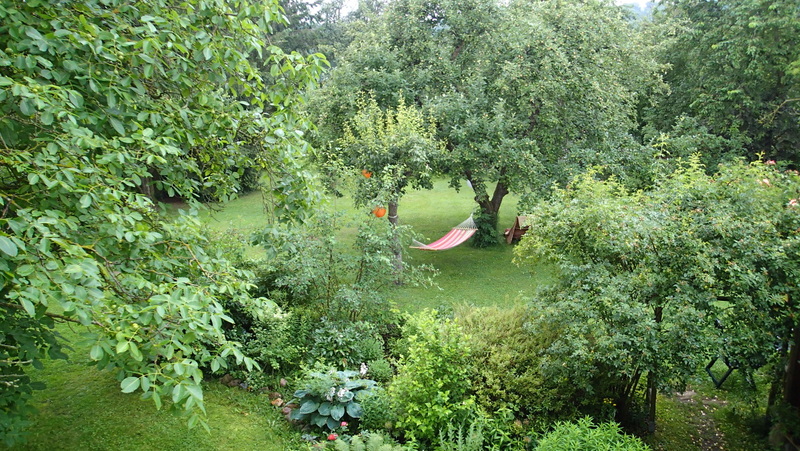 In the garden you will find sun lounger, chairs and a hammock to relax. Chorin, only half an hour from Berlin by train, is a place of stress relief. Not only life moves slower here, but the Internet, too. Visitors can leave their big city and television behind. Pension Buntspecht was built with lots of wood and wooden furniture to modern, high standards and it is pleasantly decorated with great attention to detail. Our bedroom was well tailored and practical, with a modern bathroom. The beds had comfortable, firm mattresses. One window had a mosquito net, and we had no problems with insects. The rooms and common areas were all perfectly clean. Kerstin Weise pots a lot of effort into a personally prepared, rich and varied breakfast. Many ingredients are organic and locally. We enjoyed it very much. Frau Weise also helped us with boiling water to make tea in our thermo. Walkers and cyclists will welcome the fridge in the common area, stuffed with with soft drinks and beers; guests just mark the drinks they take on on a list. The former Cistercian abbey in Chorin is a major visitors attraction. 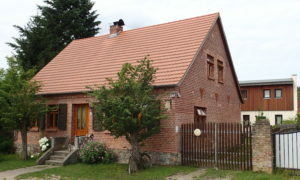 But Eberswalde and its Paul Wunderlich House, the Demeter Ökodorf Brodowin, the Schorfheide, the shallow, warm Lake Grimnitz and elongated, deep Lake Werbellin are worthwhile destinations, too. 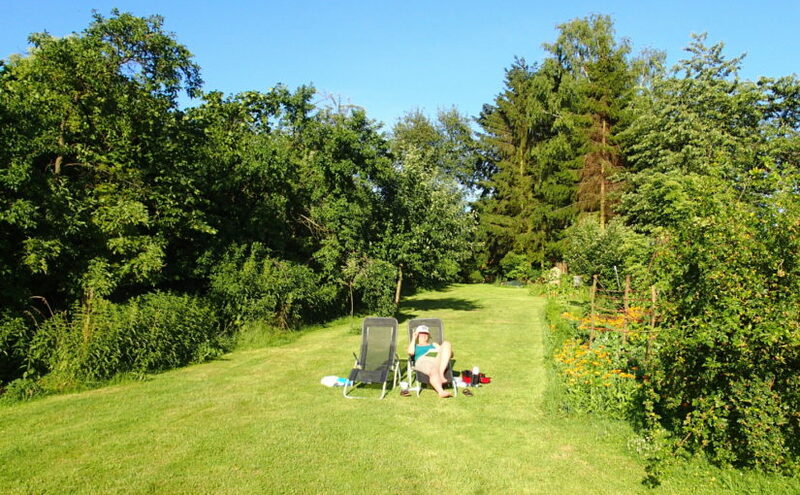 Pension Buntspecht is a new, cyclists friendly B&B. During our visit they were building a new covered bicycle shelter, which already offered our bikes protection. 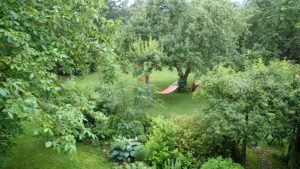 Kerstin Weise is very friendly and helpful in a modest and reserved kind of way. She is also very interested in the region and its history. Ask and she will help you plan your excursions. New, small inns in remote, quiet places live on recommendations. We felt at home at Pension Buntspecht and enjoyed our two days stay and hope that you will enjoy yours. 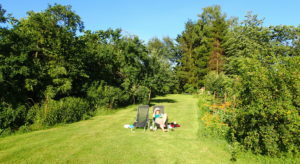 We definitely recommend the B&B to visitors seeking peace and tranquility. 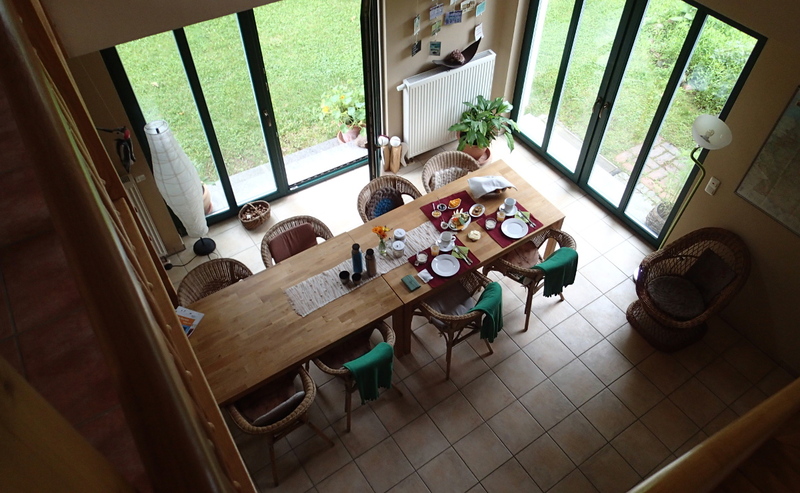 Double room € 50 / night + € 7 breakfast p/p. Arrival between 15-18Uhr.